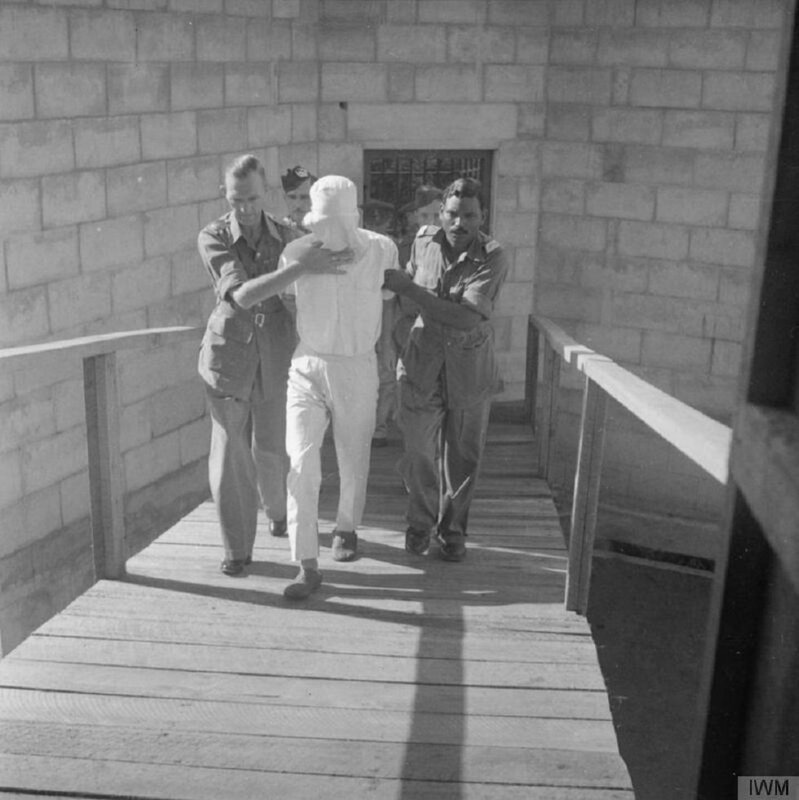 Lieutenant Nakamura, his head covered with a white hood, is led to the scaffold where he will be hung after being found guilty of beheading an Indian soldier with his sword on the Palau Islands. Image taken by Bert Hardy, No 9 Army Film & Photographic Unit, provided courtesy of War Office, Central Office of Information and American Second World War Official Collection, Imperial War Museums. The defendant was charged with committing a war crime in that he ordered, permitted or was otherwise concerned in the unlawful execution by shooting of an Indian POW in his custody. He was also charged with failing to care for; provide food, clothing and medical attention for; and ordering, permitting or being otherwise concerned in the beating, overworking and general maltreatment of the POWs under his custody, causing them to suffer greatly and be weakened in health. In mitigation, the Defence argued that the Japanese have a lesser regard for human life than others, that the Japanese were persuaded being taken prisoner was a great disgrace to which death was preferable, and that the Japanese would be subject to frightful tortures and privations if they were captured by the British or the Americans. The Defence also reminded the court that the individual must not be punished for the crimes of his nation and ancestors, to prevent the courts of justice from transforming into the courts of vengeance. It further noted that there was no need to punish as there was no need for deterrence, and that the Japanese had already paid a heavy price, i.e. loss of lives due to the two atomic bombs and raids on Japan, loss of the self-respect they greatly prize, and ruin and starvation. 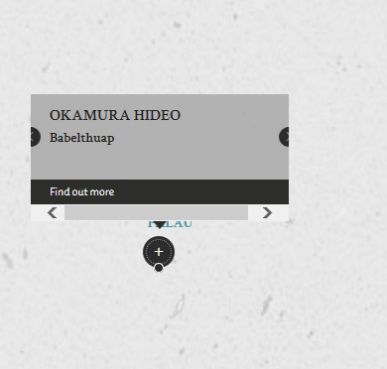 Okamura, Hideo. Captain. From Japanese military. From Japan. Guilty of first charge, not guilty of second charge. 7 years' imprisonment. Finding and sentence confirmed.